Safety issues relating to LPG in your RV. A number of articles have been found relating to Gas appliances used in RVs. Visit the link below to read the detailed information produced by the Queensland Government. No restriction on hose assembly length, however hose must be as short as practicable to restrict kinking and damage (clause 2.11.2). Hose assemblies can be used from the regulator to rigid piping and from rigid piping to an appliance. In addition hose assemblies can be used from the rigid piping of a caravan to the rigid piping of a caravan slide out section used for additional living space (clause 2.11.2). Automatic shut off valves must comply with the class 1 requirements of AS4629 (clause 5.2.7.2). The attached PDF file is the summary document provided by Energy safe Victoria. It was advised that the best practice would be, test your flexible hose for damage/leaks frequently using the "soapy water and bubble" test. You may be aware from media reports that there was a serious accident which claimed the life of a 34 year old man using a butane cooker in a caravan annexe in early February at Casino in northern NSW. As a result, the NSW Dept of Fair Trading has banned further sales of the "lunchbox" cookers using the disposable 220gm cannisters. I understand that both SA and Qld have also acted to ban further sales. Flexible LPG Hoses - Problems? Some members may have experienced leaks or degredation of their flexible hoses. Have a look at the information from ELGas using the link below. 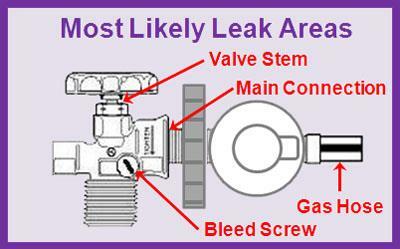 Take special note of the areas headed "Gas Hoses" and "O-Ring Seal".